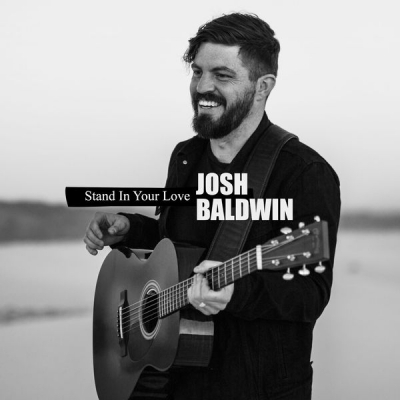 Josh Baldwin of Bethel Music has released 'Stand In Your Love', following the initial unveiling of the song at Bethel Music’s annual “Heaven Come Conference” at Dallas’ Verizon Theatre. Penned by Baldwin alongside Rita Springer, Mark Harris and Ethan Hulse, “Stand In Your Love” is a song of hope, inspiring believers to stand on the foundation of God’s love that breaks the shackles of fear and shame. In addition to digital platforms, the track just hit radio as well. “I really felt that the Lord had given us a song that would help put language to the fear and brokenness that a lot people face in their everyday life,” explains Baldwin. “It is a song of hope that reminds us that when we stand strong on the foundation that is the Lord’s love, and when we trust in Him and trust that His word is true, He comes in and breaks the shackles of shame. He forgives and forgets our past, and He has saved us and called us His own. It is His love that is unfailing and no matter the storm, with His love inside of us we will not be shaken." Baldwin shared even more about the song and experience at “Heaven Come Conference” with FOX News earlier in the summer. Baldwin has been on tour this summer as part of the “Killing Kryptonite Tour” with John Bevere. His latest full collection of music, The War Is Over, released last May.